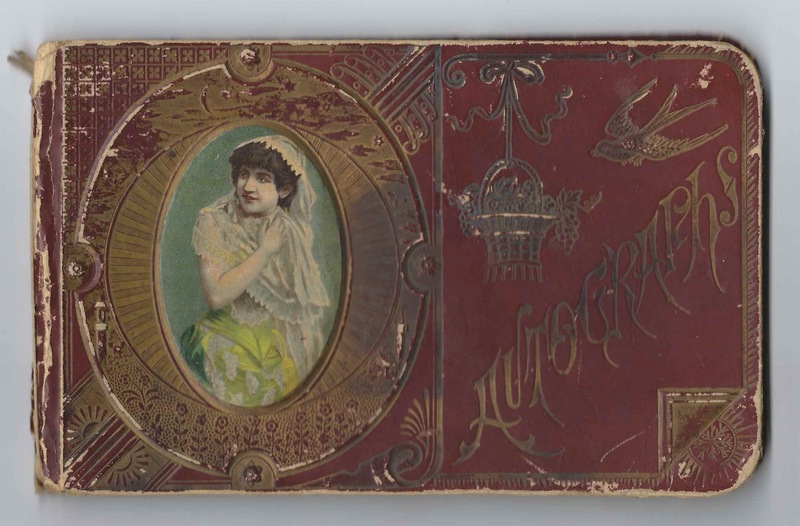 1890s autograph album of Ernest Escortell Titcomb of Exeter, Maine. 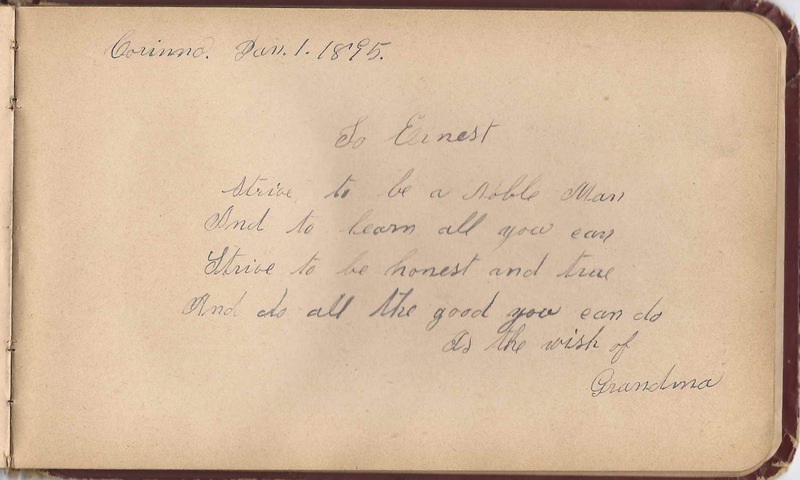 The album is approximately 8" x 5" and contains the sentiments of 25 of Ernest's relatives, friends and schoolmates. An alphabetical list of the signers appears at the end of this post. 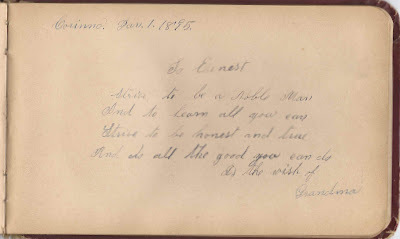 Ernest Escortell Titcomb was born 20 August 1885 at Corinna, Maine, son of Frank L. and Carrie Bell (Young) Titcomb. 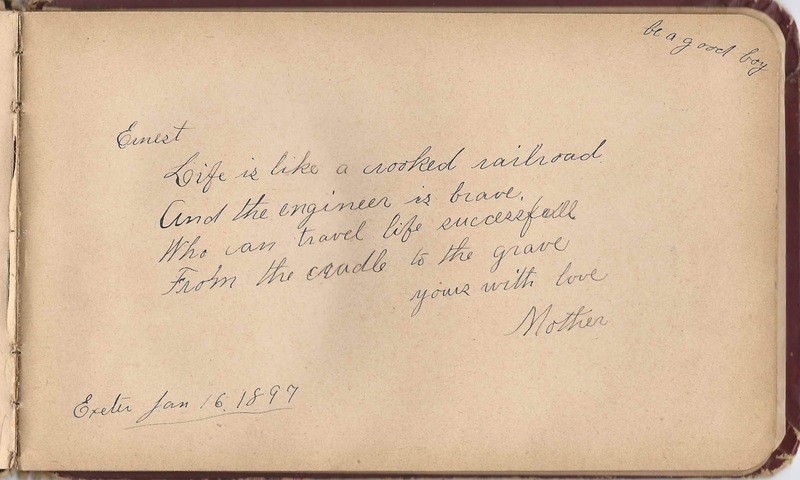 Ernest's mother, Carrie Bell (Young) Titcomb signed a page at Exeter, Maine, on January 16, 1897. 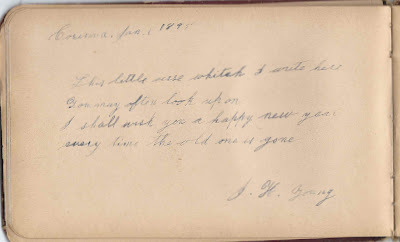 The two successive pages were signed by Carrie Bell (Young) Titcomb's parents, John Henry Young and Clara Jane (Dearborn) Young. 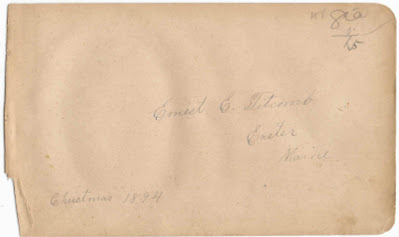 They signed at Corinna, Maine, on January 1, 1895. On 29 March 1908, Ernest Escortell Titcomb married Ethel May Peavey, daughter of Clarence Randall Peavey and Sophia Jane (Willett) Peavey. 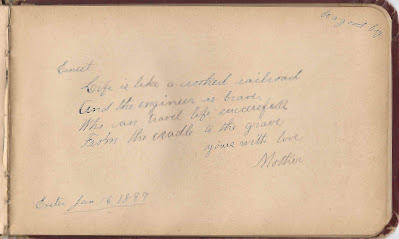 Ethel was born 3 September 1893 at Oxbow, Maine. Ernest and Ethel farmed at Exeter, Maine, and raised a son Norman, born in 1909. 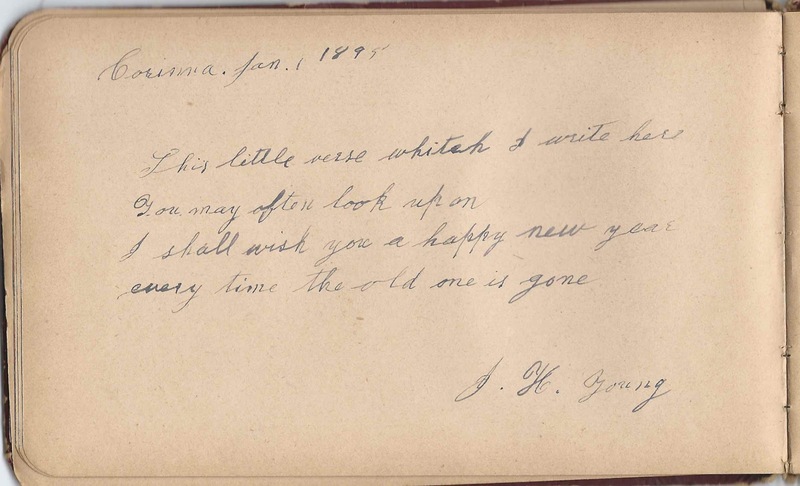 J. H. Young, signed at Corinna, Maine, on January 1, 1895. He was Ernest's maternal grandfather, John Henry Young. 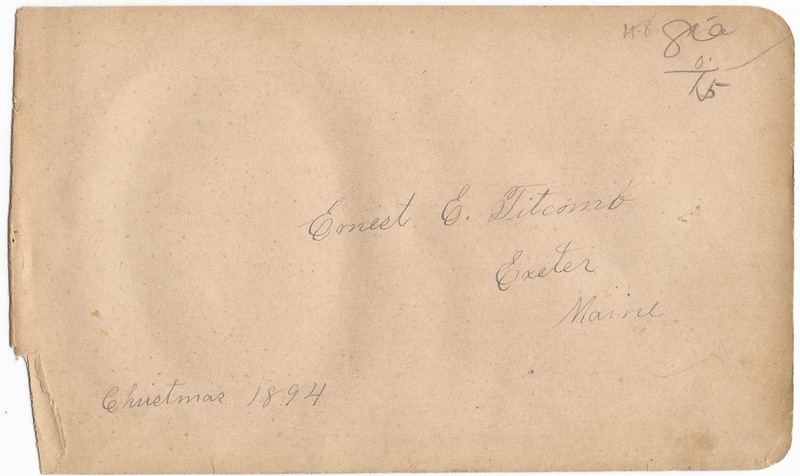 Would love to purchase information on the Young family in Exeter and Corinna Maine as I as related. How do I do that. We are listed under my husband's name Keith Fanjoy and my name is Lorna Young Fanjoy. Please advise!! Thanks so much. I did all of my research on this album on the Internet, through a combination of subscription and non-subscription genealogy services and through searching on google. FamilySearch.org is a free service, and it's wonderful. If you don't have a subscription to Ancestry.com, you can access it at many libraries for free, hopefully even your local one. 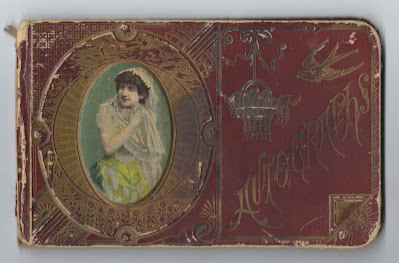 Ancestry offers a free trial - but you have to be careful to decline before the end of the trial period, or you'll signed up automatically - by then you might want to keep it, though. You will be amazed at what is out there, a portion of it online and that much more in different repositories. Good luck! The album is available; if you're interested, email me at the email address under Inquiries.